When Egyptian President Anwar El Sadat and Israeli Prime Minister Menachem Begin signed the Camp David Accords along with President Jimmy Carter in September 1978, it was hailed as a major breakthrough, a hard-won compromise that was meant to bring peace to the region and serve as a building block for an Israeli-Palestinian Peace. 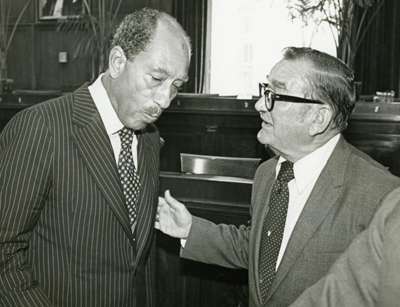 In Part I, Ambassador Alfred Leroy Atherton, Jr. recounts his experiences working as Ambassador to Egypt from 1979-1983 as he tried to tie up Camp David’s loose ends while dealing with Sadat’s growing authoritarianism and opposition, including the Muslim Brotherhood. He was interviewed by Dayton Mak beginning in 1990. Read Part II about the assassination and the aftermath. Go here to read about the Yom Kippur War and the Camp David negotiations. ATHERTON: I suppose I saw Sadat more than probably any other foreign ambassador, because we were the principal, full partners, as Sadat used to say, in the peace process and in developing our strategic cooperation. Our military worked very closely together. We had big programs. We had an AID [Agency for International Development] program that eventually reached, on the economic side, close to a billion dollars a year, and a billion or more a year on the military side. Most of the day-to-day business was dealt with through the Prime Minister whom I would see very often. These dealings with Sadat were on matters having to do with the peace process, relations with Israel, with the status of the peace negotiations, that kind of thing. Usually I would see him when we had important visitors coming and I would have to accompany them to see him. We had an endless stream of members of Congress. I think more congressmen came to Egypt than to any other place except maybe Israel and Ireland. [They came] to see where the money was going and to be seen to have their picture taken with Sadat. It was a very good thing to show your constituents back home, that you were shaking hands with this man. We forget what a popular hero Sadat was in this country. 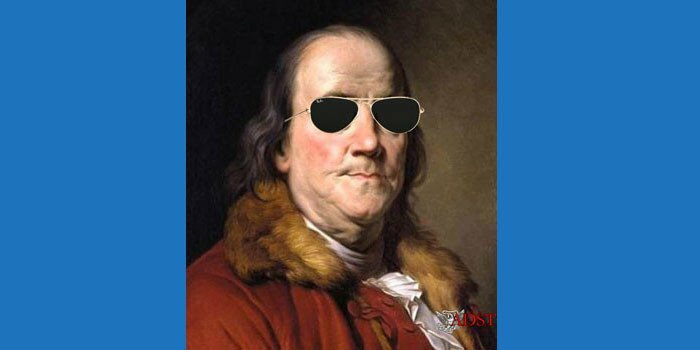 He had a knack of projecting his image in America. He was very good on American TV and in dealing with the American media and with American public opinion. So congressmen came through all the time, and that always involved meeting with Sadat. There were some economic issues which had occasionally to be discussed with Sadat. And that was difficult, because Sadat really was not an economist, he didn’t really understand how a complicated macro economy works, and he didn’t really take seriously the advice he got, that Egypt had to institute some genuine economic reforms, that its economy was going to become increasingly moribund. It had an enormous–and still does–system of subsides built in to keep the cost of living down. There was almost no inflation for the poor Egyptian in terms of basic foodstuff. The things that basically most Egyptians subsist on were all subsidized and the price was controlled. But they were subsidized by an enormous element in the Egyptian budget which was creating budget deficits and therefore inflation in other parts of the market where there weren’t controls. Electricity prices were heavily subsidized, and the result was that Egyptians were very wasteful of electricity because they got it so cheaply. Sadat did not like to deal with economic issues. This was after the peace treaty, which had been signed in 1979, but only part way through the implementation of the treaty. In other words, the Israeli withdrawal from Sinai was only partially complete. The other aspect of the peace treaty that was incomplete was the autonomy talks, which were going on between the Egyptians, in effect speaking for the Jordanians and the Palestinians, and the Israelis, about implementing that part of Camp David which provided for an autonomy regime for a transitional period, for the Palestinian inhabitants of the West Bank and Gaza, as a step towards further negotiations for a final settlement. Sadat wanted the economic benefits of peace and he didn’t want to just focus on a strategic consensus, which implied trying to find common ground between Egypt and Israel as military allies of the United States. The implication of “strategic consensus” was what other Arab states could we bring into circle? I think anyone who knows the Middle East knows that as long as the rest of the Arab world was in a state of belligerency with Israel, Egypt didn’t want to be isolated with Israel and the United States. Sadat didn’t care as much perhaps, but a lot of his people did. So there were all sorts of unresolved questions and no sign of being able to even approach a solution to them, and an increasing unwillingness on the part of the Egyptians to make these kinds of decisions for the Palestinians. They wanted to just get some general principles agreed and have the elections take place and get Palestinians elected who were going to deal directly with the Israelis with a Jordanian presence as well if possible. Meanwhile there was a growing disillusionment internally in Egypt, the perception that peace had not produced all that they had anticipated, that Sadat had oversold the peace settlement in some ways to his public by promising economic miracles, and a quick solution to the Palestinian problem, that the isolation from the Arabs would be only temporary. Well, there were no economic miracles. The economy continued to have difficulties, it did not attract large foreign private investment and inflation began to get worse. And there was no progress in implementing normalization provisions of the peace treaty. Certain things had happened. You began to be able to buy The Jerusalem Post at newsstands in Cairo, for example. And you could buy Egyptian papers in Israel, if anybody wanted to read them. And, of course, the border opened up. There was scheduled air service between Ben-Gurion Airport and Cairo Airport. Very few Egyptians, other than government officials, visited Israel for example. There were exceptions, though. There were some Egyptians who really wanted to try to make this work and got out in front of general public opinion, or certainly out in front of the approach that had been taken by some in the foreign ministry and some of the security services, for example. There were professors at the university who felt that they had something to learn and tried to form relationships with their counterparts in the Israeli academic world. The Ministry of Agriculture believed strongly that Egypt had something to learn from Israel, from its agricultural technology, and established some technical exchange arrangement which survived a lot of difficult times. So there were exceptions, but the general attitude was: Let’s go slow on the normalization of relations. Those things which we are required to do by the treaty, such as end the boycott of Israel and Israeli goods and Israeli people, stop putting Egyptians on the boycott list who deal with Israel. Open the borders to travel by land or by air. Those were all in the treaty and those all went forward. But other things, which were to be negotiated in the side agreements, somehow got bogged down. And to a large extent bogged down, I think, because the Egyptians didn’t want to go too fast. There was, as I said, a general sort of disillusionment within Egypt that the peace treaty had not been all that was promised, and some of this focused on Sadat. One heard Egyptian criticism of Sadat, that the peace was not the comprehensive peace that he had promised, that his freeing up of the economy had benefited a small group of people who had gotten rich quick at the expense of everybody else. He also said he was going to liberalize the political sector, and I think, intellectually, Sadat did feel that Egypt had to build institutions of democracy and get away from the one-man authoritarian rule of the Nasser period. He was temperamentally not very much convinced, however, that anybody knew as well as he did what was good for Egypt. And so he was kind of a father-of-the-family, an authoritarian father-of-the-family. And so democracy didn’t flourish in the sense that many had been led to expect. [The opposition was] mixed. Some came from the Islamic fundamentalists. He had given them a certain amount of freedom when he came into office. There was amnesty and he let out of jail a lot of the Muslim Brotherhood [symbol at left], who had been under lock and key during the Nasser period or underground, on the theory that they were the best defense against the Communists. He was more concerned about a threat that he perceived from the left, from the Communists. He saw communist conspiracies. And, of course, it turned out that he had let the genie out of the bottle. There were spin-offs of the Brotherhood, militant spin-offs, clandestine spin-offs, who definitely looked to violent political action as a way of trying to change the regime. 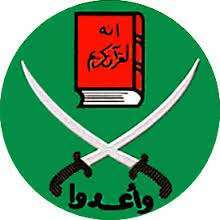 Their objective was to achieve what Islamic fundamentalists basically had as their goal — to get the country back to the Koran, to make the Koran the law of the land, Islamic law and Islamic tradition, governing education, governing all aspects of society and all policies of the government. And that included not making peace with the infidel Israel, not being allied with the western devils, the United States, and certainly not allowing women in public life, like Mrs. Sadat who became a public figure in her own right. Mrs. Sadat was not the ideal of the Islamic wife, she was very public, and they had a rather elegant lifestyle as a family. The fundamentalists turned against him, because they wanted a regime that was run according to the precepts of the Koran, and he had, in fact, a secular regime. Many of Sadat’s friends were considered to be profiteering from the regime. There was clearly a lot of corruption, although Sadat personally I think was not involved, in that he never amassed a fortune, but he was tolerant of those who did. Their children married into some of the rich families that were tainted with corruption. There was an aura of corruption tarnishing the image of Sadat. The opposition was from the Islamic side, from the neo-Nasserists, those who regretted the end of the days of Nasser pan-Arabism, with Egypt the leader of the Arab world, and Arab socialism where you did not have the extremes of wealth that began to develop again under Sadat’s regime, which reminded a lot of people of the pre-Nasser period, of the monarchy, of the privileged classes. And Sadat did, in fact, turn back some of the properties of some of the wealthy people who had prospered under the monarchy whose property had been sequestered during the Nasser period. And then you had the old intellectuals, who had become disillusioned with Sadat very early on, when he proposed his treaty of peace with Israel, in effect unilaterally, without going along with the other Arabs. They weren’t opposed to the concept of ending the war, but they felt it should be in an Arab context and not a separate Egyptian context. And then there were opposition political parties. Sadat had permitted what had been a one-party state to be turned into a limited multi-party state. There was an authorized opposition, and it had a certain amount of credence and could speak against the government in parliament, and it included some people sympathetic to the Muslim Brothers who were not legally allowed to have political representation; it had people who were socialists, some neo-communists, some neo-Nasserists. A lot of the intellectuals of Egypt were writers and journalists, and many of them, under Sadat, were not allowed to publish. 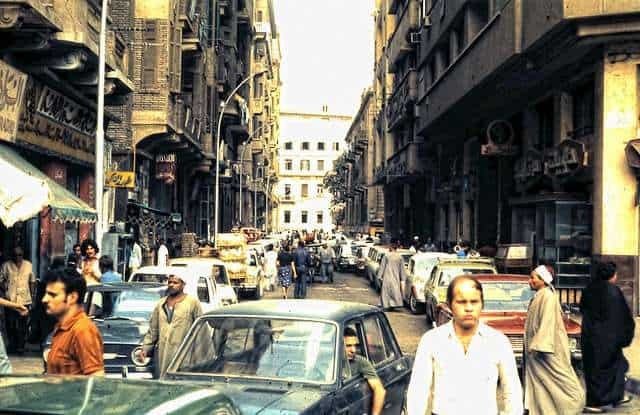 They had been allowed to join the al-Ahram Center for Strategic Studies, and it became a kind of think tank and a place where all of the disaffected intellectuals gathered and preached to each other about the ills of the regime, but they couldn’t get into print. There was definitely a limit on freedom of speech, freedom of expression. What Sadat did do was to do away with some of the extreme measures. He did away, in effect, with concentration camps, with most of the abuses infringing on civil rights. The judiciary became again to a larger extent an independent body of government. And people who felt they were abused by the regime had recourse to the courts. People were willing to talk in private… to express their views, and in most cases felt that they didn’t have to fear the arbitrary arrests or the knock on the door in the middle of the night or detention without trial. But there were exceptions. Occasionally, particularly when it came to dealing with some of the extremists in the Islamic movement, the niceties of law were not always observed. There were reports, and I guess continue to be reports of the brutality and tortures of the police interrogation methods. 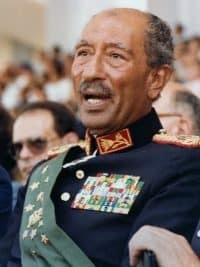 Most Egyptians however, even those who were critical of Sadat, will admit that the worst abuses, the police-state atmosphere of the latter Nasser period had been done away with. But, as I was saying, this was a period when Sadat’s image in the country had begun to lose its glow, and one got more and more intelligence reports of plots against the president’s life. Sadat had made sure that the military leaders were people who were loyal supporters. Sadat did not permit powerful subordinates. He did not permit anyone to develop any sort of power basis around him. So there were lots of people who were disaffected. Anyway, to get back to the main theme. Sadat was getting increasingly authoritarian and, some people would say, rather erratic, and over-reacting to some reports of criticism he heard, the gossip that they kept bringing to him. He was getting out of touch with the people he should have been listening to. We had a good intelligence exchange between our intelligence people and the Egyptian intelligence people. The Egyptian intelligence and security people were in despair because Sadat really did not take kindly to be told that he had to be on his guard from the security point of view. He used to personalize everything. “My canal.” “My army.” He really was a sort of Father of his People, and while that made for a sort of authoritarianism, but it also made him feel that he didn’t want to isolate himself. In practice, he was increasingly isolated in terms of people he would listen to. His circle of advisors was getting narrower and narrower. People who told him things he didn’t like to hear somehow ended up being farther away from him. Sadat’s attitude, I think in genuine frustration was: “I know what’s best for the country. Why don’t they agree with me? I want democracy. I want a democratic society. But democracy does not mean the right to obstruct what I want to do.” And he was always looking for some way to reconcile his authoritarian instincts with his intellectual commitment, I think, to the need to develop a democratic state. He could never quite reconcile the two. When he came back (from Washington), one day he simply rounded up all the people who had ever been critical of him — from extremists on the Muslim Brotherhood side to people like Heikal. Heikal was not a threat to him. He had them all rounded up and put in jail for awhile to give them a lesson. He also at the same time moved against the Coptic pope, the head of the Coptic Church. In any case, Sadat, in effect, exiled the pope, put the pope in a monastery in the desert and appointed a group of bishops to run the affairs of the church. So tensions were high in the opposition, even in the loyal opposition, even among the people who would never think of going outside the law but did feel that Egypt should respect the views of those who disagreed and permit greater freedom of expression.